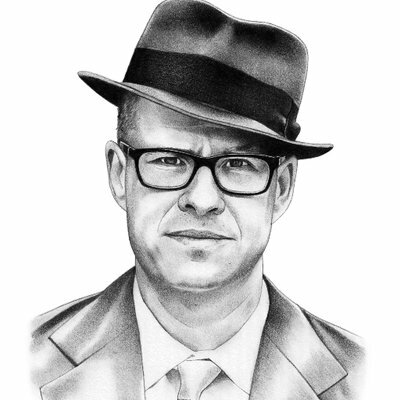 Max Boot is an honest man? Max’s argument, that conservatism has been hiding racism all along, falls apart in his discussion of supposedly racist working-class whites in the Midwest. Has he forgotten that that was the union base of the Democratic Party for the last forty years? It’s only recently, when the Democrats abandoned them, that they flocked to the Republican Party. 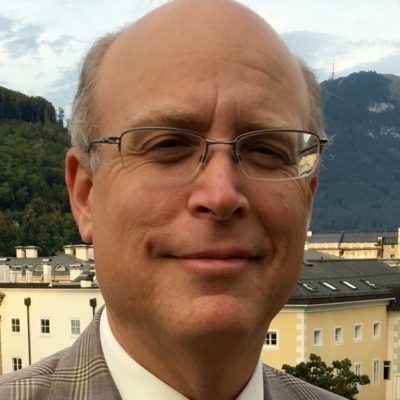 @steven-seward Apparently he wasn’t being honest with himself, or anyone else for that matter, all those years he was a conservative, but now that he has found his true home and, more importantly for Mona and Jay, is the Never-Trumper par excellence, he is Mr. Honesty. Yuck. It also simply ignores the more likely answer. Trump did not win because of the “racist” things Boot outlines but he won in spite of of these issues. Conservatives have historically wanted better control of the border. It was a Democratic talking point as well for a number of years. The idea of a “Muslim ban” is bad, banning people from bad places might make sense. None of this is inherently racist. An awful lot of the things Trump ran on in his campaign do not on there face have anything at all to do with race. I actually feel a little bit dumber for having listened to this intellectually lazy argument. I do appreciated that Mona to an extent did push back on the idea of Republicans as Racist. Better question is: Is Max Boot an Imperialist? Of course. And Mona and Jay agree with him. No Max is not right. Max is transitioning. I think that he should go on transitioning. After all, everyone (who is anyone) knows that being a Neo-Con Trump Supporting Fascist is just awful. I hear that they are going to hold another Woodstock soon. I think Mona and Jay should buy Max a ticket. Max can go roll in the mud high on bad acid for a few days. Then he’ll come back and tell us how this experience has accelerated his transitioning. In truth, it’s been a while since I’ve had the stomach to listen to these two patting each other on the back. From your statements regarding brexit, Mona, I take it that you believe that they should never have even had the Brexit vote? Is that right? I thought Jay’s points debating Mr. Boot were excellent. Haven’t been able to listen to this show for months. And the title of this week’s episode — just the title, mind you! — speaks to my reasons why. And as I’ve stated before, few conservatives have less love for the current administration than I do. I would love to see the Orange One impeached before resigning in disgrace. But the unacceptability of Trump (and his ilk) has not blinded me to the destructive power of Leftism. But it has prompted Jay and Mona to often minimize it in ways they never did even two years ago. Would that Jay and Mona were able to strike the same balance. “…..But the unacceptability of Trump (and his ilk) has not blinded me to the destructive power of Leftism. Yes. Max Boot is not right because as bad as Trump is, the Democrats are far worse. May I add something to this good comment? I was disappointed that Mona didn’t stand up for Barry Goldwater, when Boot seemed to say that he voted against the Civil Rights Act for racist reasons. I believe that Goldwater founded the NCCI local branch in Arizona. If he didn’t found it, he had a lot to do with its existence, I believe. The reason he voted against the Civil Right Act is on the principle that the Federal government should not constrain businesses in that way. I think he was wrong. But it was a principled vote, and I can’t believe Mona didn’t know that. The word racism is thrown around too easily today, and I am sad that one of my favorite thinkers seems to be going along with this. I can’t stand Trump. I believe he makes our country look like a Banana Republic. He is a boor, and an unprincipled charlaton, who is setting our movement back, despite his accomplishments. But to hurl the word racist around so freely, without saying why he is that, is just wrong. I could not agree with Julia more. There seems to be a tiresome trait in some (many?) people: You have to be on one side or the other. Max Boot and Jennifer Rubin seem to epitomize this type of thinking: Because Trump has the mentality of a child, everything he says or does is automatically wrong. And then Max Boot (and I am sorry to say Mona and Jay too often) go on to say the whole Republican party is becoming bad and racist. Yes, there is too much apologizing for Trump. But the answer is not to become a Democrat. The title of this podcast was intended to convey a double meaning — not just is Max Boot right in the sense of correct, but right as opposed to left. Further, I had both praise for and disagreement with Max, as anyone who listened to the podcast can attest. Clearly, some of the commenters didn’t listen. Jay and I did criticize Nancy Pelosi and the Demcrats, specifically, if I recall correctly, about the argument that walls are immoral, or don’t work. If you don’t like the podcast, no one is forcing you to listen. If you have criticisms or suggestions, I’m happy to hear them. But for those who clearly didn’t listen and just drop into the comments to sneer, go jump in a lake. Mona, your spunkiness always did impress me. And I always listen to the podcast. One of my favorites. But I still was disappointed about the Barry Goldwater thing that I commented on. I know that weeks like this must be discouraging for you, so how were you and Jay planning to handle it? I guess if you need some inspiration, you can always look and see what Max Boot, David Frum, and Jennifer Rubin are doing. Or, alternatively, you could just do what you would’ve done 2 1/2 years ago, which is to offer a trenchant analysis of how toxic and destructive the Left has become. Kidding! I’m just kidding, Mona! My gosh, can’t you even take a joke?! Of course you and Jay would never do that! It would be like asking you to climb Annapurna in your night clothes. It would simply never happen. So, yeah, seriously, Mona, I would just get Frum and Rubin on the phone. (I’m sure you have them both on speed dial). And don’t fret, Mona. Those two scandals I just mentioned will surely have blown over by the weekend, and Conservatives will be back in very bad odor within 7 or 8 days. And whatever the new scandal is? It’s a cinch that it will somehow involve race, gender, or sexual identity. And I’m sure your mouth is already watering. Careful she may throw you in a lake …. scary stuff. The irony? I despise Trump as much as she does, and I’d sooner guzzle lye than ever vote for him. But I despise Leftism just as much. Its telling that the only conservative thing about Max Boot anyone remembers is his Iraq War support. Otherwise, I wouldn’t even know who the guy is, unlike say Frum and Rubin. He may in fact be better off with the Democrats now that the GOP is less globalist. The guy even thinks “states rights” is racist. Really. Even Susan Collins would call him a squish. Of course there are many racists in the GOP. So what? Most GOP politicians before Trump knew enough not to appeal to those views. And I don’t see many GOP politicians mimicking him either. The supposed “white nationalist” movement in the GOP has nobody outside of Trump….and Steve King. Wheres Steve Bannon anyway? I pay pretty close attention to this stuff. The people I trust hate the EU and the EMU. All of that stuff is completely overwrought. It cannot be fixed. They are going to have a gigantic fiscal and economic crisis pretty soon. You simply cannot combine monetary policies without combining the treasuries as well. And you can’t do that because there are too many social differences. My primary guy is Harald Malmgren. George Friedman is another. Having said that, David Cameron was a Remainer, not pro Brexit. It was a cynical attempt to consolidate power to shut up UKIP et. al. He didn’t think it would pass, so his guys set up a referendum without any details. It was ridiculous. They pass these things with referendums to join and then the EU becomes a roach motel that you can’t get out of when this centralized stupidity starts getting out of control. I’m not up on the details, but quite a few countries were forced into the EMU pretty un-democratically. My favorite excuse for the EU is you have to support it because it’s hegemonic. It doesn’t matter how crappy it is, it’s the only way to survive against China in the United States. Well, swell. Then the other thing is, when you leave, they threaten to use their hegemonic power against you. They do this because they can, and to prevent people from leaving the future. Really swell dynamics. The United States is no different, it’s just at a lower level. @rufusrjones — I think of Brexit as the last hurrah of British patriotism and self-rule, before the schools and the media completely stamp it out. Arguably, Trump is the last hurrah of American patriotism and self-rule, before etc., etc. It’s horribly messy stuff, but Harald Malmgren says the EU jumped the shark in the 80’s. The EMU is a 100% bad idea. Getting out is the least worst option. The UK also has quite a bit of leverage if their leaders would just capitalize on it. Coverage of Europe for this that are interested. CFR fellow, WaPo columnist, CNN analyst. Author: CORROSION OF CONSERVATISM & ROAD NOT TAKEN.